We make highly sophisticated Earth observation satellites faster than anyone else in the World. What's more, you'll get your rst satellite images the moment you order your satellite. 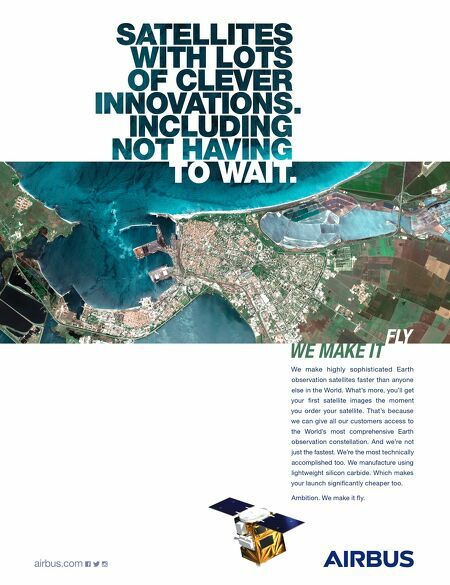 That's because we can give all our customers access to the World's most comprehensive Earth observation constellation. And we're not just the fastest. We're the most technically accomplished too. We manufacture using lightweight silicon carbide. Which makes your launch signi cantly cheaper too. Ambition. We make it y. FLY WE MAKE IT Ambition. We make it y. TO WAIT.